Enter your name, email address and text of the message below and click the "Send message" button. “LIFE, LOVE, WAR” is presented these days in Italy, during an International Art Expo in Florence. Compared to the previous artistic production of Agneta Gynning, in materials like bronze, glass, marble, these works, leaving aside the thematic, contain a innovation in the material that has been used, a natural material, i would say “inedited” for the sculpture: the rubber, the caucciu’. Consequently to this choice is appeared, in “LIFE, LOVE, WAR”, the colour, as the rubber is striped with bright colors. The artistic modality is changed, the authoress had given anticipation like can be sight in her sculpture titled “The goddess of dawn”, a bronze of 2009. This technique of overlapping veiling, bendaging, that for sure with the bronze were created in a different way, is the only for the rubber, that the Artist models working, with warmth, one by one, each single piece. 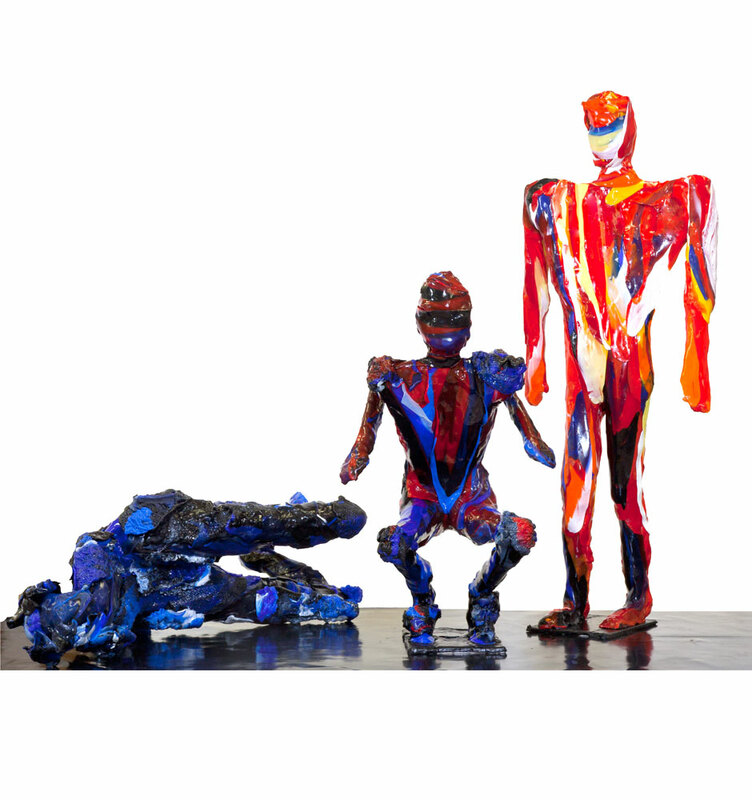 The creative route crosses through a shape of iron that’s the guide of bodies that Agneta Gynning makes rise with warm veils of colored rubber that, over giving thickness to the bodies, with colours, gives a way to read the content. now curled up in the pain of the victim, now overwhelmed by the humiliation of the survivor, now celebrated by the arrogance of the unbeatable. Agneta Gynning offering us her huge, colorful works stimulates us to a reflection, more dutiful than ever.